This is a project presented in an Excel document of type xlsx with two sheets. It does not work properly in old Excel (xls). If there is any problem viewing it I suggest downloading an up to date Excel Viewer. 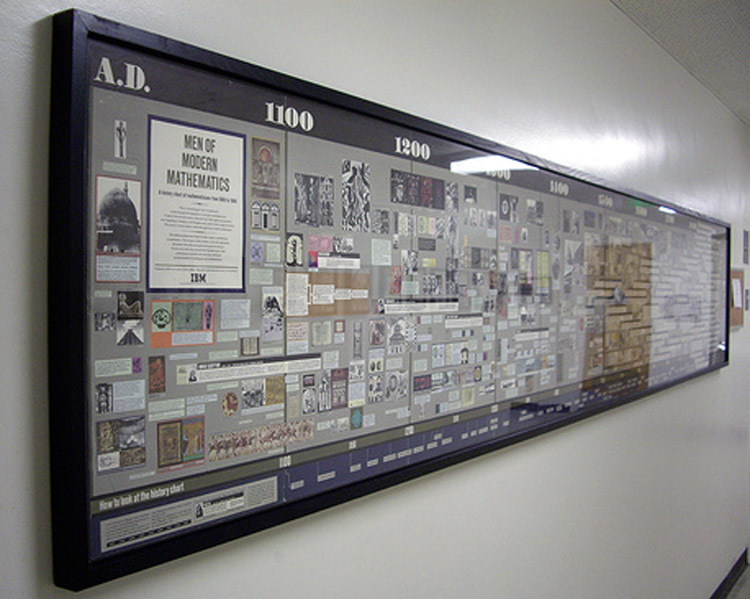 The first sheet shows a timechart of some of the most important persons in philosophy, mathematics and physics. Names and boxes are links to Wikipedia pages. 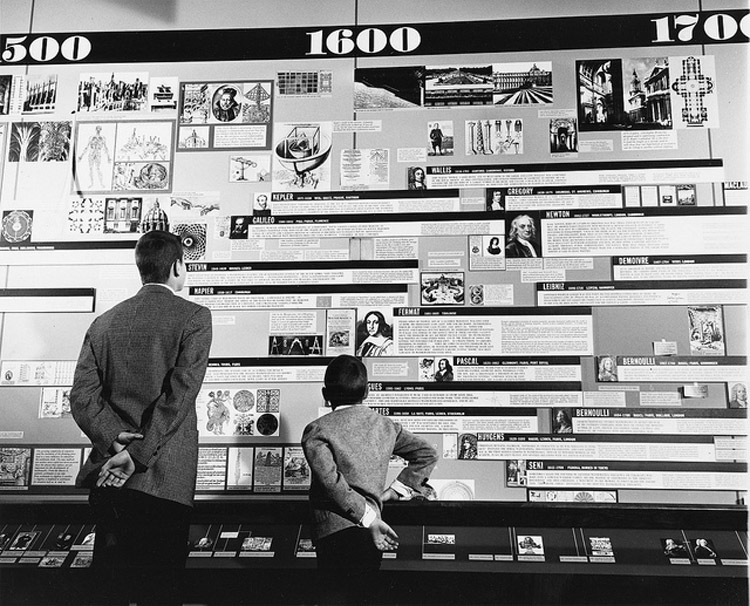 The second sheet is a timechart of a selection of science projects and facilities in the areas of particle physics, astronomy and general relativity from 1940 and onwards. Boxes and headlines are clickable and leads to Wikipedia pages. If you click to the right of a box you get the official website of the project and if you click to the left you get a pictures describing the project. The pictures are from a Google search on keywords of the project so they may not all be relevant. 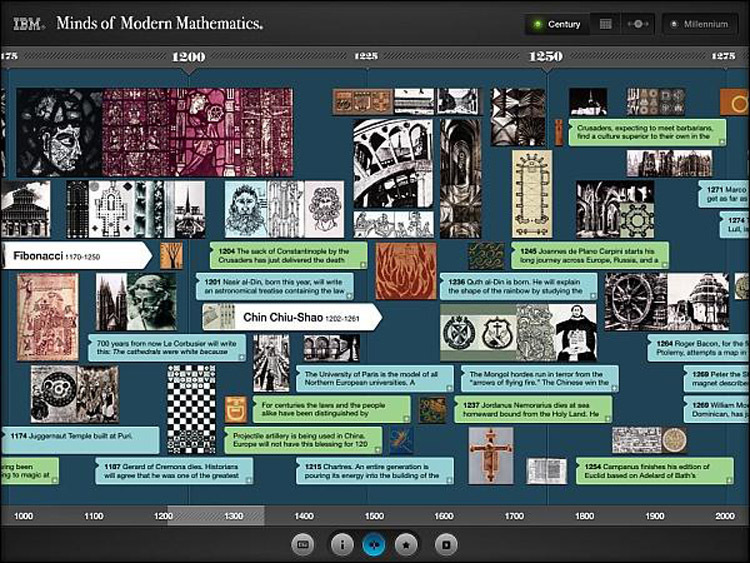 A far more artistic and impressive timeline is “Men of Modern Mathematics” that was created for IBM by Charles and Ray Eames. It was presented as a 15 meter long installation in the 1964/1965 world’s fair and can be seen in many mathematical centers around the world. You can see it in this YouTube clip. It is also available as an app named “Minds of Math”.